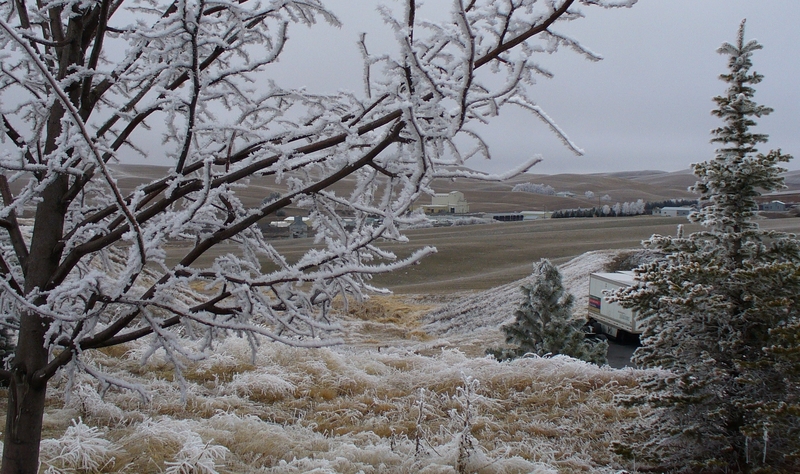 We have had “freezing fog” on the Palouse for the past five days now. It may disappear tomorrow when the sun comes out. I was not used to it, so took some photos. Technically, it’s probably not “fog” but extremely low clouds. But as you can see, it turns the trees, bushes and plants white. 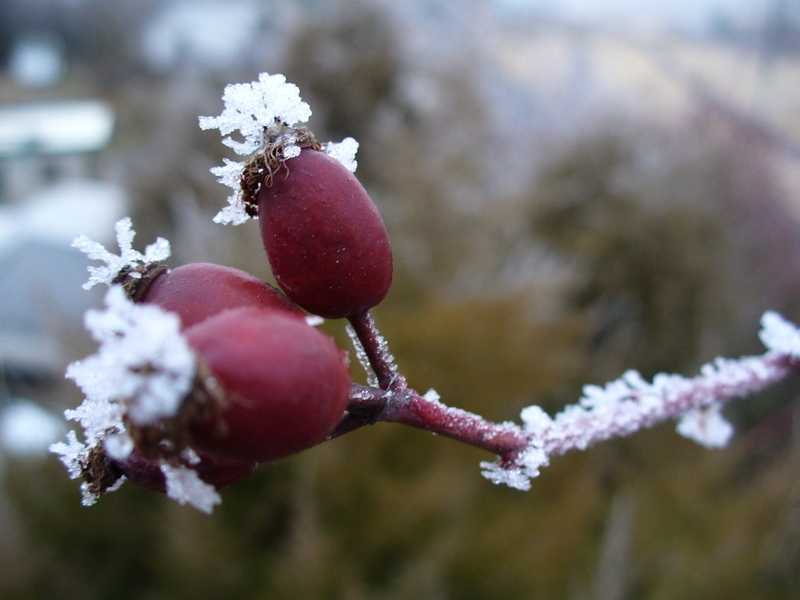 Here are what some rose hips by my apartment looked like on the second day. 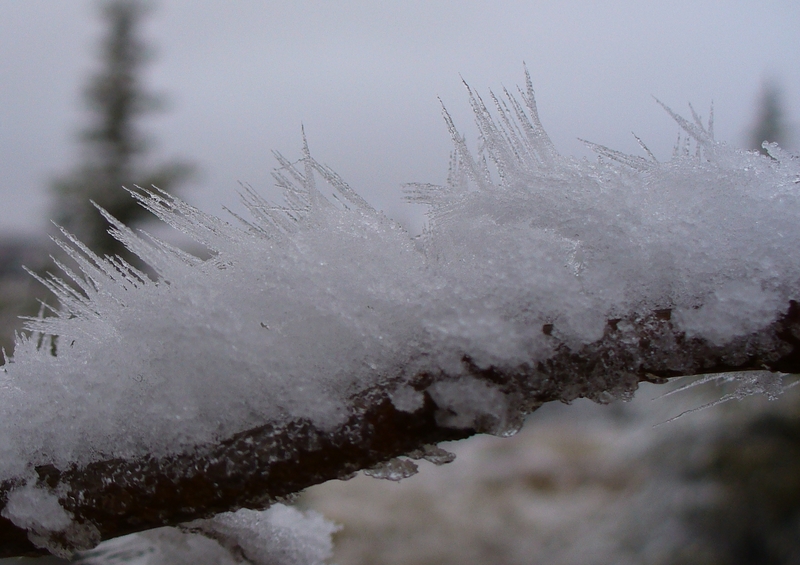 And here’s what a branch up on the hill looked like on the fourth day. 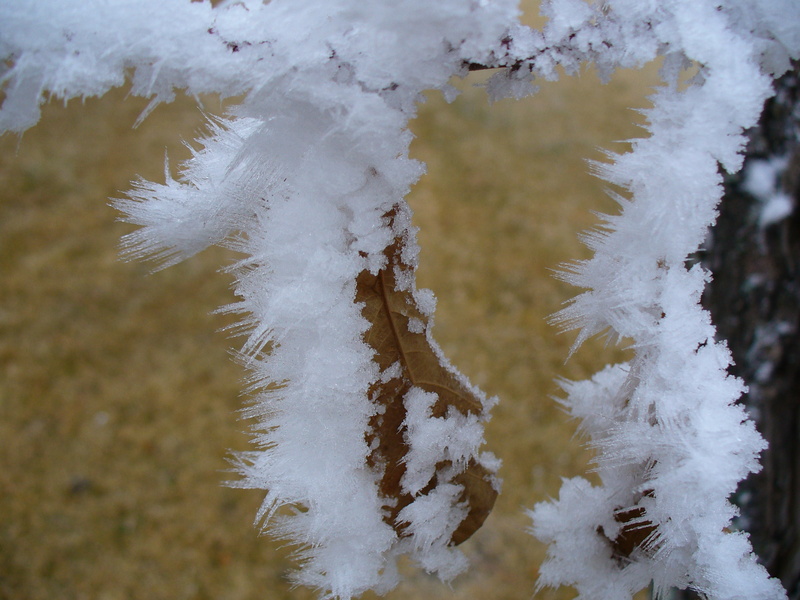 An undropped oak leaf is encrusted with fine ice crystals. 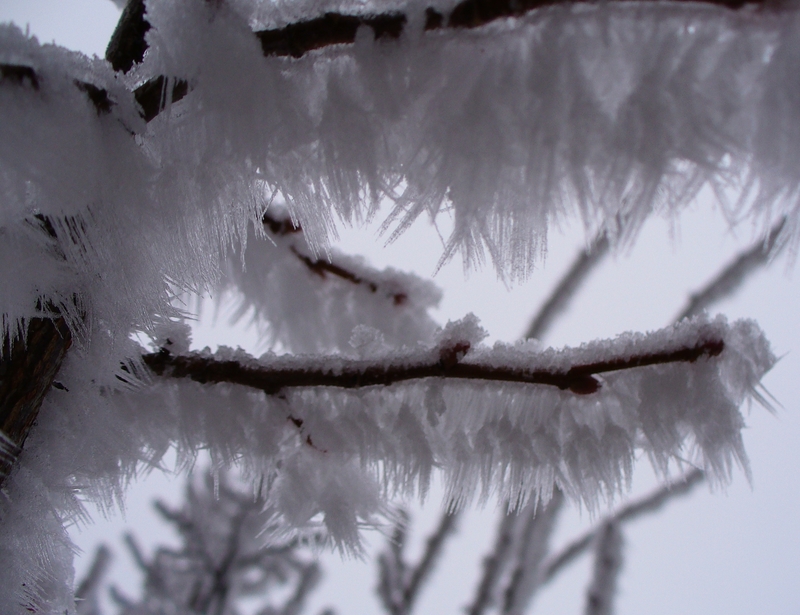 Up on the hill, the crystals were long and whiskery by the fourth day. 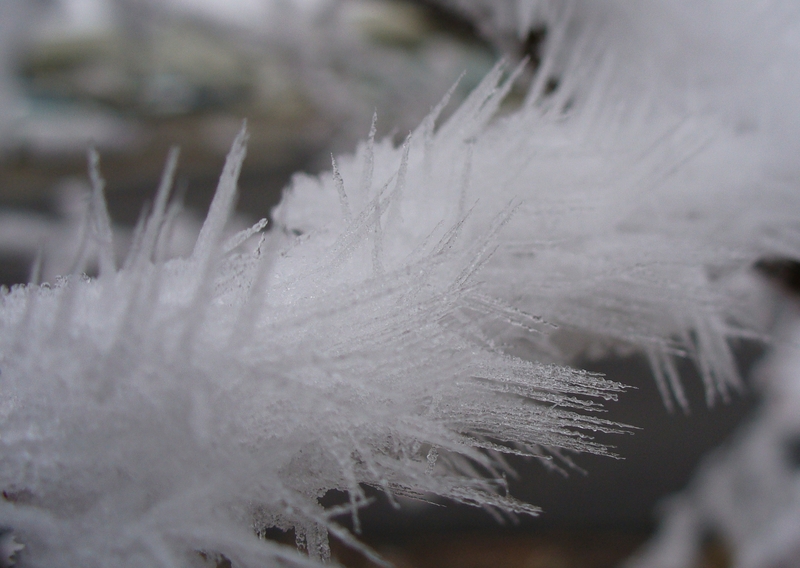 The structure of these crystals is quite fascinating and appears quite delicate. I’m sure if there had been more wind, they would have all been knocked off. 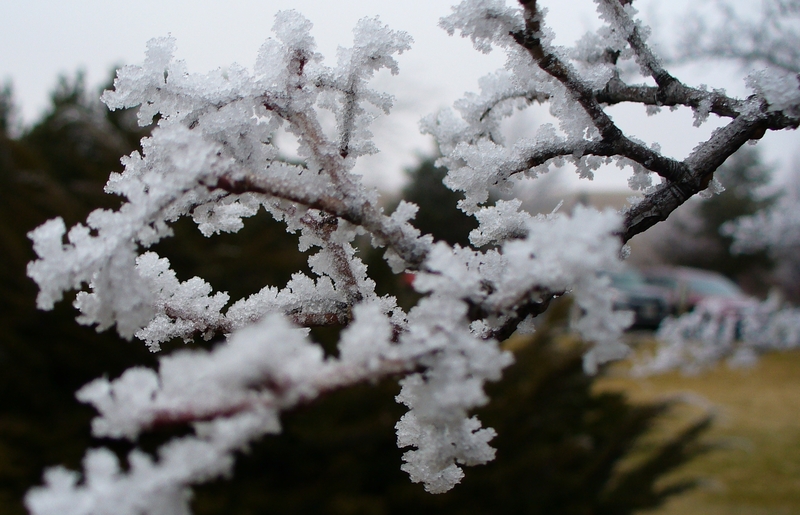 A little further down the hill, a different branch carries its crystals in a stubbier pattern. Note: Life Force Learning Center will be a new series of articles meant for general readers on technical subjects. This is the first in that series. It seemed to me a bit too general of a name to give to an IDE (Integrated Development Environment – a computer application giving a software developer everything he needs to write programs using just one integrated system of windows and menus). But there I was, trying to help a guy about my age (50’s) to figure out how to use this IDE. A zealous young community college instructor had thrust it upon him as his first introduction to computer programming. I had never used it before, either. But I had already learned to program, as that was something taught to anyone on an IT (Information Technology) track at Seattle Central. 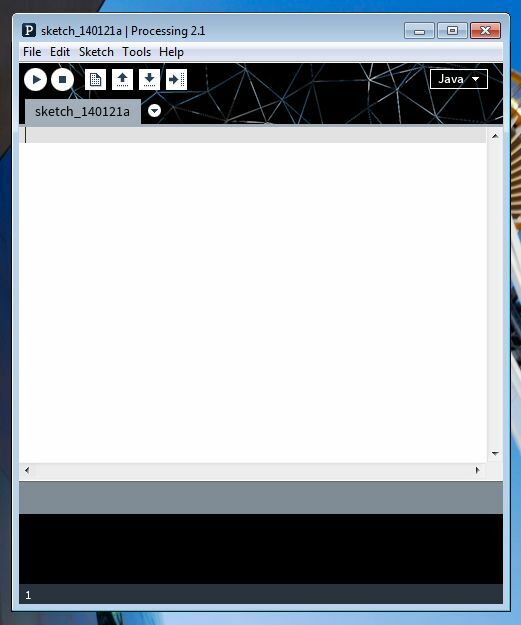 It IS a very simple IDE, stylistically, and it’s an open source project (the code used to make it is not proprietary) so it’s a free download – perfect for a student on a tight budget. But, as it was originally developed to make animations on a computer screen, it was not THAT simple. You pretty much have to know how to write a loop (a piece of software code that repeats over and over) to make it do anything useful. And it is based on the C language (a programming language written by a computer scientist at Bell Labs after he decided that the language he wrote called “B” wasn’t useful enough; written in 1972 when most computer geeks looked like hippies or beat poets). The C language is “deep” enough that you can write an operating system (the program that makes a computer work) using it. And modern versions are object-oriented (the program is thought of as creating “objects” when it runs. These program “objects” have certain characteristics and do certain things). Object-oriented languages have a special syntax (Greek word for how sentences are put together) that you have to learn that is a little unusual compared to plain English, or algebra. These days, electronic devices are made using “smart” hardware. These are parts that act like little computers, and they have to be programmed. I finally decided I wanted to try one of these parts, so I got an Arduino Uno. Arduino is an Italian company that makes and sells these parts mounted on a little board with a USB connection on it so you can plug it right into your computer and program it. There are many such companies, but Arduino is popular and was available at my local electronics store. I looked over the literature for this product (on the web, of course) and lo and behold, what should I find but – Processing! Yes, Arduino was using the Processing IDE for its products! Very interesting. But, there is another company that makes such products that are sold at my local electronics store. It is called Digilent and is a local Pullman-based company. 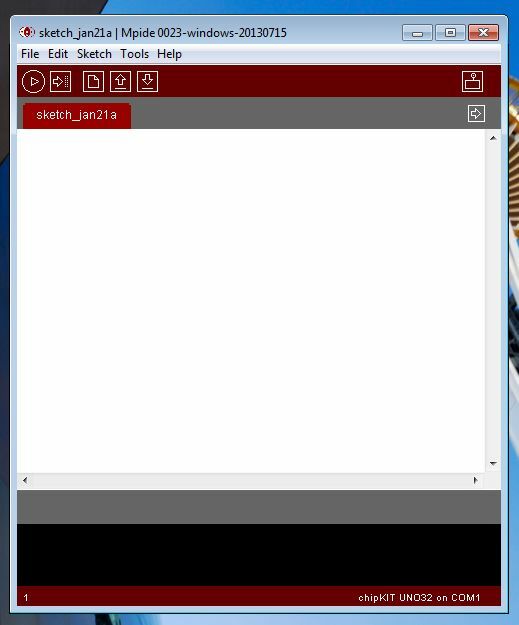 The guy at the store talked about using Digilent and Arduino products together, so I looked it up, and found out Digilent refers Arduino users to an IDE called Multi-Platform IDE (MPIDE) that allows this. And what should MPIDE be based on? Processing, of course. So there you are. Three IDEs all following the same pattern.